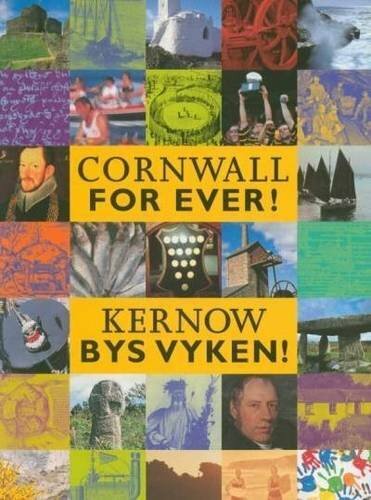 History of the Cornish Stannaries | Cornwall For Ever! The Cornish Stannaries are the areas where tin was mined in Cornwall. People called ‘tinners’ worked in these areas and had special rights. The Cornish Stannaries had their own laws and their own parliament. After 1337, the Duchy of Cornwall took control of the Stannaries. Because of the Duchy and the Stannaries, Cornwall maintained its independence. The word stannary comes from the Latin word stannum, which means ‘tin’. Originally, stannary meant an area where tin was mined. Two or more areas were called stannaries. The Cornish Stannaries is also the term used to describe the Stannary Courts, Parliament and other organisations that helped to run the tin industry in Cornwall. The tin industry had been very important in the land we now call Cornwall long before the Romans came to Britain in 43AD. Because the industry was so important, it developed its own customs and traditions, and tinners had the right to search for tin on anyone’s land. Tinners would gather together to organise their industry and maintain their customs. After the Norman invasion of Britain in 1066, a special tax was placed on all tin produced in Cornwall and in Devon. This tax was called coinage. Cornish tinners had to pay twice as much coinage to the king of England as the Devon tinners because the Cornish were viewed as ‘foreigners’. Cornwall was shown as separate from England on maps and legal documents, and Cornish and English people were regarded as different from each other. In 1201, King John of England granted a Stannary Charter (a legal document) to the tinners of Cornwall and Devon. This confirmed the tinners’ right to search for tin on anyone’s land. The charter also said that only a man called the Lord Warden of the Stannaries could arrest and judge the tinners if they broke the law. The charter set out four Stannary areas in Cornwall, Foweymore (Bodmin Moor), Blackmore (around St Austell), Tywarnhayle (St Agnes to Truro) and Kerrier & Penwith (the far west of Cornwall). From the year 1220, Cornwall and Devon had their own Lord Wardens of the Stannaries. In 1305, King Edward I of England granted Cornwall its own Stannary Charter. The charter strengthened the rights of Cornish tinners and said that only special Stannary Courts could decide legal disputes. The charter also said that tinners didn’t have to pay certain taxes. All tin produced in Cornwall now had to be sent to ‘Stannary Towns’ to pay coinage – the towns were Lostwithiel, Bodmin, Liskeard, Truro and Helston. A Cornish Stannary Parliament, law courts and other buildings were built at Lostwithiel in east Cornwall. By giving them their own charter, King Edward was recognising that the Cornish tinners had a distinct identity. This was followed by the establishment of the Duchy of Cornwall in 1337. Control of the Stannaries was given to the Duchy of Cornwall and all of the taxes raised through coinage now went to the Duke of Cornwall. From this point onwards, the whole of Cornwall was considered to be covered by Stannary Law. Similarly, the whole of Cornwall was governed by the Duchy and the Stannary Parliament. Both the Duchy of Cornwall and the Cornish Stannaries helped Cornwall to maintain its independence. In 1496 Arthur, Duke of Cornwall, tried to introduce changes to the Cornish Stannaries. The Cornish tinners did not accept these changes, so Arthur’s father King Henry VII closed the Cornish Stannary Parliament. Cornish people became very angry about this and the new taxes that Henry made them pay. With their leader Michael Joseph An Gof, they marched to London and fought Henry’s army at Blackheath on 17th June 1497. The Cornish lost the battle at Blackheath, but nine years later Henry said he would reopen the Stannary Parliament if Cornish people paid a fine of £1,000. Cornish people paid Henry’s fine and he granted a Charter of Pardon that forgave the Cornish for rising against him. Importantly, the charter also strengthened the rights and powers of the Cornish Stannaries. It said that anyone with a connection to the tin industry in Cornwall was a now considered a tinner and protected by Stannary Law. The Charter also said that 24 members of the Stannary Parliament (called ‘Stannators’) should be chosen by the Stannary Towns of Truro, Helston, Lostwithiel and Launceston. The Stannary Parliament was given the power to ignore laws made in Westminster. During the Civil War (1642-1651), the Cornish Stannary Parliament and its records were burned by soldiers fighting against the Cornish Royalist army. After the war, Oliver Cromwell abolished (got rid of) the Duchy of Cornwall and the Cornish Stannaries. They were restored when King Charles II came to the throne in 1660. As the tin industry grew in the 1700s and 1800s, Liskeard, Bodmin, Penzance and St Austell also became Stannary Towns. Tin was taken to these towns to be weighed and for the double-rate coinage tax to be paid. The Cornish Stannary Parliament last met in 1753. Stannary Law continued to be used and the last case was heard in a Stannary Court in 1896. Even today, the Duke of Cornwall still appoints a Lord Warden of the Stannaries. In the 1970s, a group of people in Cornwall argued that the Lord Warden should once again call together a Stannary Parliament. Although the Lord Warden did not do this, a legal expert at Birmingham University called Professor Robert Pennington suggested that there was a strong case to do so. In 1977, a Welsh Member of Parliament called Daffyd Wigley asked the government if the Charter of Pardon of 1508 had ever been withdrawn. The government said that there was no record of the Charter being withdrawn. This suggested that the charter was still law and that the Cornish Stannary Parliament could one day meet again. All tin that had been mined and made into blocks was taken to a Stannary Town where it was weighed and the coinage tax was paid. This happened four times a year, at Lady Day (25th March) midsummer, Michaelmas (29th September) and Christmas. On the coinage day, officials would weigh the tin and test its quality by taking a corner from each block. This process was called ‘coining’, and is where we get the word coinage. If the tin was of good quality it would be stamped with the Duchy of Cornwall’s official stamp. “As the day drew near, the controller and the receiver journeyed from town to town carrying in a sealed bag the stamping hammer and the weights. At the towns they are met by…the weigher and assay master…also come the tinners, dispatching their metal in advance by packhorses or carts, while from London…came the would-be purchasers. All assembled at the coinage hall, a warehouse-like structure near the market place, in which tin had previously been stored…The porters brought out the blocks one at a time and placed them upon the scales. Each had been stamped with the private mark of the owner. The weight of each [block] was shouted out by the weigher. The blocks…were taken in hand by the assay master who chiselled a small piece from the corner of each…to make sure that the metal was of the proper quality. If so, the controller, with a blow from a hammer, struck upon the block the Duchy arms…The stamped blocks of tin were, of course, retained by the receiver until the coinage duty had been paid”. Cornwall's Stannary Parliament could ignore laws made in Westminster. Tin was considered to be royal property. A tax called coinage had to be paid on all tin produced in Cornwall. The money from the coinage tax went to the king of England. William de Wrotham became the first Lord Warden of the Stannaries of Cornwall and Devon. He made sure that tin mines made even more money for the king of England. Cornish tinners paid twice as much coinage as the Devon tinners because the Cornish were classed as ‘foreigners’. King John granted the first Charter of Liberties to the Tinners of Cornwall and Devon. It mentioned four Stannary areas in Cornwall: Foweymore (Bodmin Moor), Blackmore (around St Austell), Tywarnhayle (St Agnes to Truro) and Kerrier & Penwith (the far west of Cornwall). From 1220, Cornwall was appointed its own Lord Warden of the Stannaries. King John had granted the rights of the Cornish tin mines to his son Richard, Earl of Cornwall. King Edward I of England granted separate charters to the tinners in Cornwall and Devon. This Charter confirmed the special rights of the Cornish tinners. These rights included having their own Stannary Parliament, being able to make their own laws, and not having to pay certain taxes. The Duchy of Cornwall was established by King Edward III. The king made his son Edward of Woodstock the Duke of Cornwall. The Duchy of Cornwall took control of the Cornish Stannaries, the Stannary Parliament and the Stannary Courts. The Duchy also received all of the income from the coinage tax on tin. All of Cornwall was now considered to be a Stannary area and had special rights. Tin production in Cornwall fell by 80% because so many tinners had died of the ‘Black Death’ (bubonic plague). Arthur, Duke of Cornwall, forced new rules on Cornish tinners without the agreement of the Stannary Parliament. The tinners ignored the new rules, so Arthur’s father, King Henry VII, closed the Stannary Parliament. This made people in Cornwall very angry. Cornish people who were angry at the loss of their Stannary Parliament and new taxes rose against King Henry VII and marched to London. The Cornish army, led by Michael Joseph An Gof, was defeated by King Henry’s much larger army. The Cornish rose against King Henry again in September. King Henry VII forgave the Cornish for rising against him and granted a Charter of Pardon. The Charter strengthened the rights and powers of the Cornish Stannaries. The Stannary Parliament was given the power to ignore laws made in Westminster. During the Civil War, Parliamentarian soldiers burned down the Great Hall of the Cornish Stannary Parliament. Many Stannary records were also burned. The Cornish Stannary Parliament last met in Truro. The Duchy of Cornwall stated that the Duchy, the Stannaries and the County of Cornwall all had the same boundary. The powers of the Stannary Courts were transferred to Cornwall’s County Court. People in Cornwall tried to revive the Cornish Stannary Parliament and asked the Lord Warden of the Stannaries to summon (call together) the Parliament. Welsh Member of the Westminster Parliament, Dafydd Wigley, asked the government if the Charter of Pardon of 1508 had ever been withdrawn. The government said that there was no record of the Charter being withdrawn. This suggested that the Charter was still law and that the Cornish Stannary Parliament could one day meet again. The Duke of Cornwall appointed a new Lord Warden of the Stannaries.